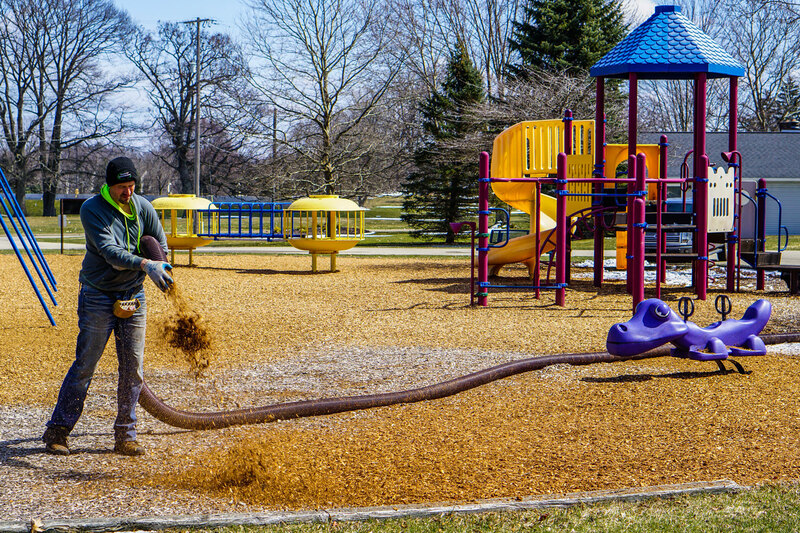 Superior supplies and installs various brands of certified playground mulch, which meet ASTM and IPEMA requirements. We offer both virgin and recycled EWF material for your playground surfacing needs. We invest time and money into our equipment, project planning, and operation enhancement, so that we are able to provide our clients with advanced installation benefits at each site. The green roof industry demands knowledge, safety, precision, and efficiency. 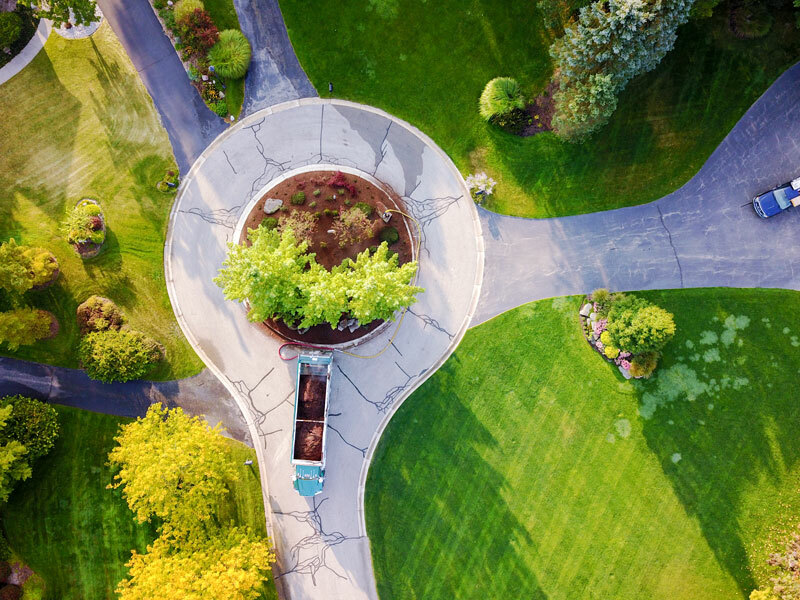 Superior’s team and state of the art fleet of blower and conveyor trucks continue to be leaders in the green roof industry. 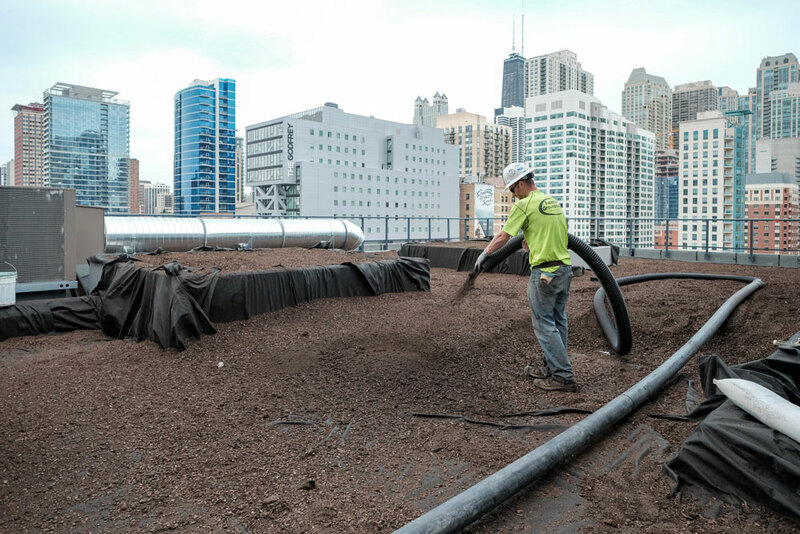 Superior’s compost erosion control blanket combines nutrient rich compost mixed with high quality seed to create the perfect environment for quick vegetation establishment and slope stabilization. 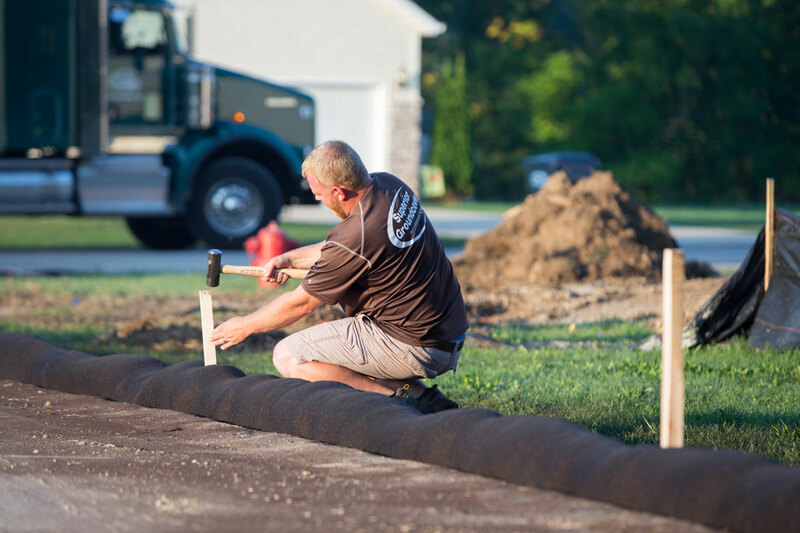 Follow the link to check out all of our erosion control solutions! Superior provides foundation waterproofing, interior/exterior drain tile, and drainage stone placement for contractors thoughout Michigan and Indiana. 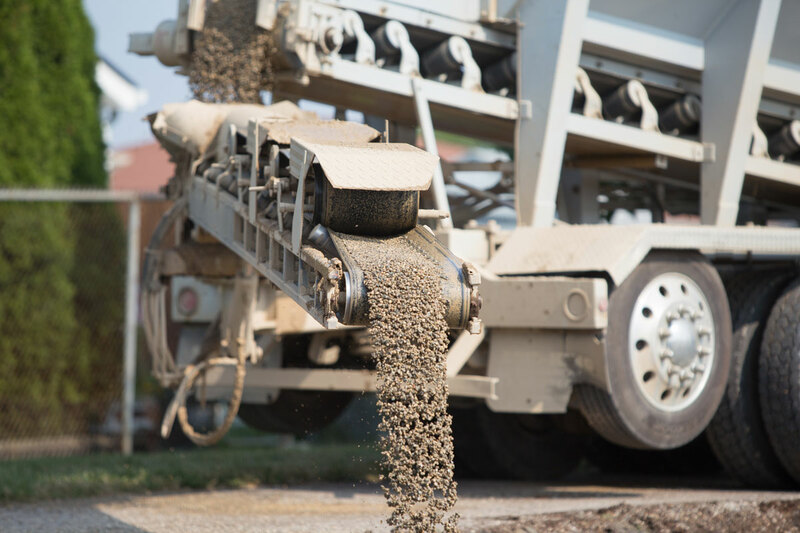 Superior's blower and conveyor trucks are the perfect solution for bulk aggregate, sand, and soil placement on various construction project sites. 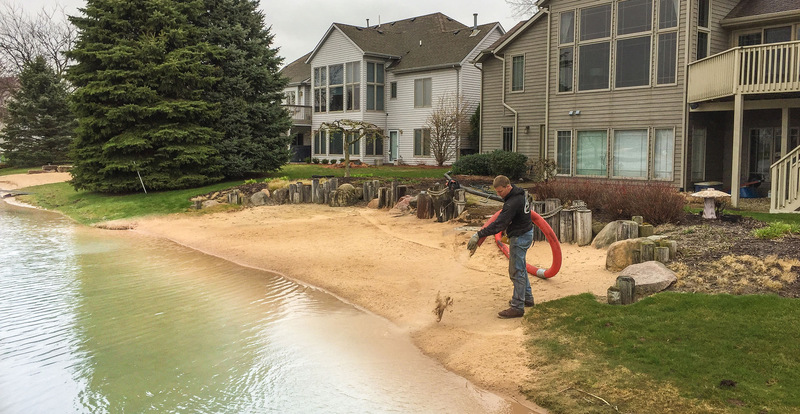 You may see our trucks working on new foundations, underground fuel tanks and storage tanks, photovoltaic solar systems, roadside fill, playground drainage, trench backfilling, Michigan beaches, and more. 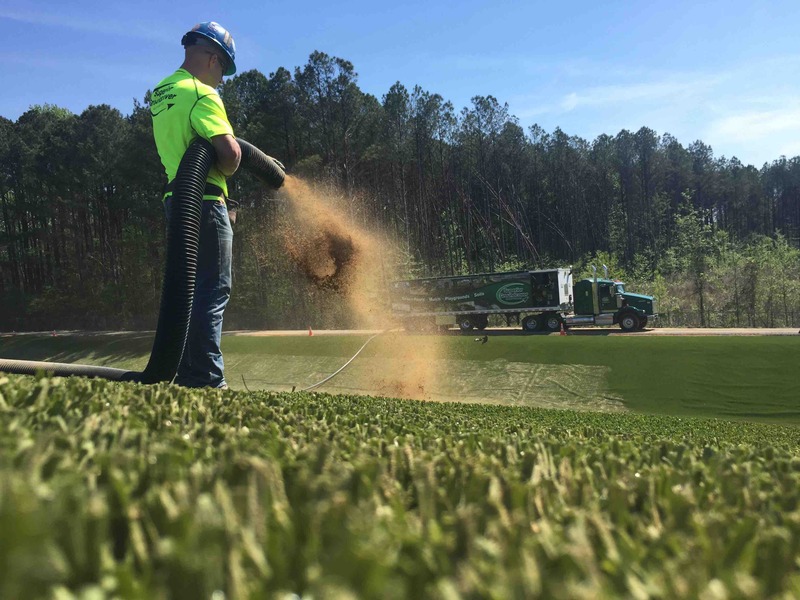 Some landfill closure & coal ash landfill closure sites utilize a ClosureTurf® system as the superior solution for a non-exposed closure system. Limited access and restricted traffic loads make Superior's blower trucks and conveyor trucks the perfect solution to install the sand infill portion of the project. 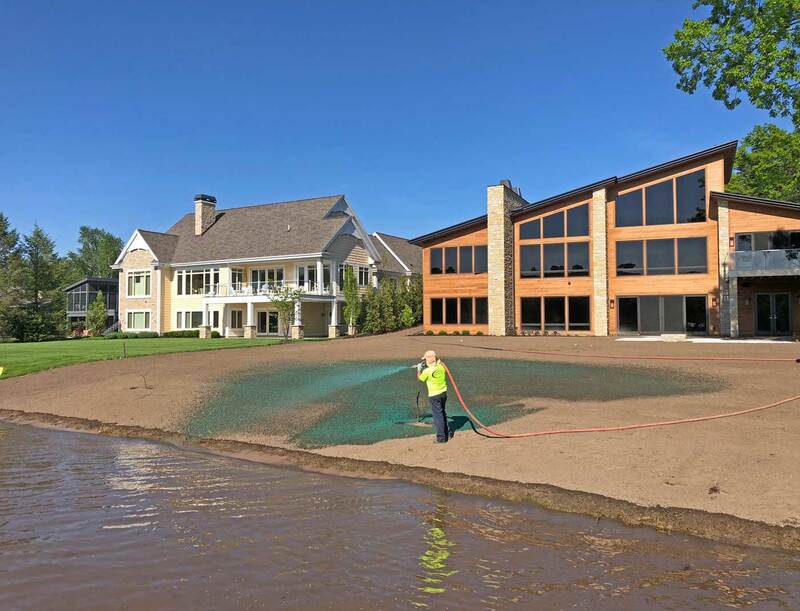 Superior Groundcover provides commercial and residential turf preparation and hydroseeding services for contractors throughout West Michigan.